HAPPY HOLIDAYS! ~ MERRY CHRISTMAS! ~ HAPPY NEW YEAR! Complete the official Entry Form below. Thanks! Your Entry Has Been Received! This promotion is in no way sponsored, endorsed or administered by, or associated with, Facebook. You are providing your information to KJ's Art Studio and not to Facebook. The information you provide will only be used for art updates. Furthermore, you acknowledge that this is a random entry selection, whereby the winner is randomly selected from the entry submissions received prior to Friday, December 15th, 2017 @ 11:59pm CST. Winner will be notified via email, therefore please be sure to provide a VALID email address. Everyone is eligible to enter that is capable of receiving mail deliveries via the USPS. Painting will be shipped FREE of charge via United States Postal Service. By submitting your information you are granting KJ's Art Studio permission to send you art news updates via email. You may unsubscribe at any time. The information you provide is not shared with third parties. 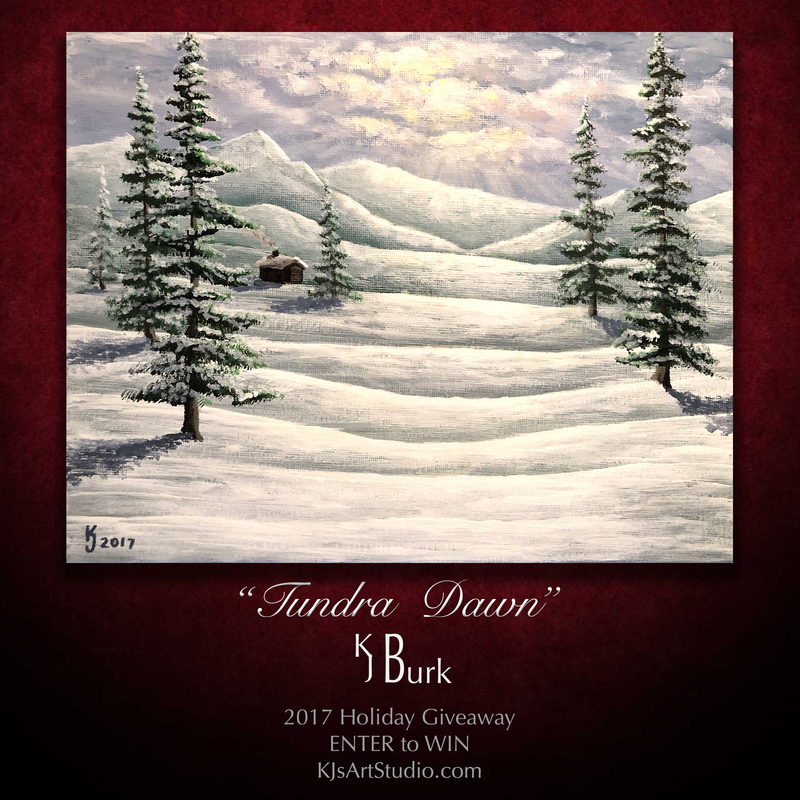 Thanks for entering KJ's 2017 Holiday Painting Giveaway!